Site foundations have been laid at the £26m environmentally friendly Potters Court development, which is due to welcome its first residents in 2020. 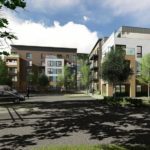 It will offer 99 purpose-built, affordable homes, including 84 apartments for city residents with an assessed care need, plus 15 general needs flats for the over 50s, making it the largest housing with care facility in Southampton. This housing with care scheme supports people to live their lives to the full; with easy access to care when they need it, a community café and restaurant, hairdressing and wellbeing facilities and a full programme of activities. Among its features, Potters Court will benefit from a range of energy efficiency measures and technical innovations making it one of the most energy-efficient properties in the city. There has been a strong emphasis on the ongoing maintenance of the interior fixtures and fittings including LED lighting and every effort has been made in the design decisions to ensure good ecological practice. Robert Page (Drew Smith), Councillor Lorna Fielker and Paul Juan. Work is well underway on the gas fired communal heating system supplemented by both ground and air source heat pumps, which will provide the underfloor heating and hot water to each apartment. Once complete the roof of the building will also accommodate solar panels to meet the communal electrical demand and car charging points. Particular care has been taken to ensure that as many of the site’s existing trees are retained as being important to the character of the site. Those that are lost will be replaced, wherever possible, on a 2:1 ratio together with the provision of bat and bird boxes and shrubs, which will attract wildlife. 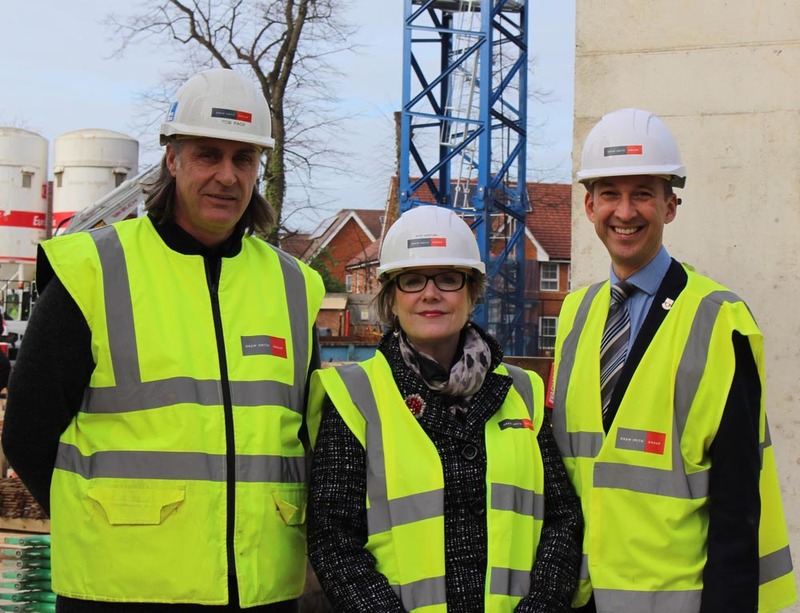 Councillor Fielker was given a tour of the construction site by Robert Page, Potters Court Project Manager at Southampton-based Drew Smith Group and accompanied by Paul Juan, who has responsibility for housing and adult care at Southampton City Council.